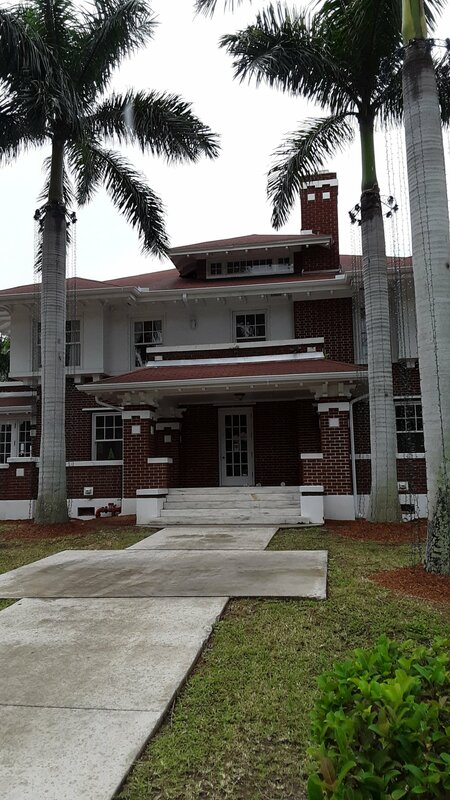 This house is currently located at the corner of First and Hough Streets, Fort Myers. 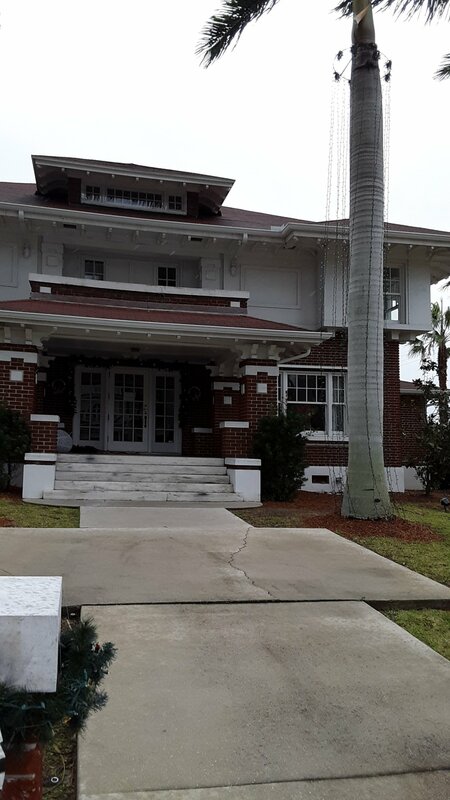 It was moved from its original location at Fowler Street and First Street.It was built in 1919 for Walter Langford. He was a banker and a rr impressario. The architect was Francis Kennard. Langford died in 1920. In 1923, the property was purchased by George Kingston, an inventor ( Kingston carburetor). It was owned by the Kingston family until 1953. The property was sold to the First United Methodist Church. The church used the property until 2001. In that year, the church donated the property to the City of Fort Myers. In 2003, the building was moved across the street. The house is Prairie Style. It is 5,232 square feet. It features two large entrance porticos. It has a wrap around veranda. The roof was changed from clay tile to shingles.